On a lovely Autumn morning in September, a group of 22 staff, family and friends of OneLook Systems arrived in Cronins Yard, a short distance outside Killarney. Some had never climbed a mountain before, and others were seasoned hillwalkers. The goal was simple: make it up and down Carrauntoohill, Irelands highest peak, in one piece. Led by Piaras, Orla and Mike of Kerry Climbing, we ascended the Devils Ladder and reached the summit in a little over 4 hours. Taking a well earned rest at the top, we admired the views of the MacGillycuddy Reeks, before heading back down via the ZigZag route. Back safely in Cronins Yard, we had a chance to put the feet up and reflect on our accomplishment. The day was fantastic from start to finish with the sun shining and everyone in great spirits. 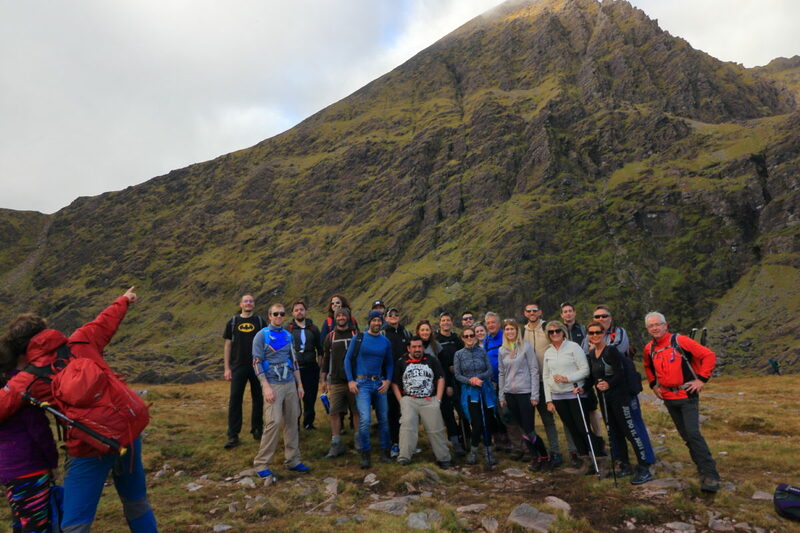 The group raised over €400 for charity, and we are already planning Carrauntoohill 2019!